The best holidays are the holidays inside us. Inside our family and inside comfortable house which is surrounded by the care of independent gasification. Valuable gifts are the gifts given with the smile and love. 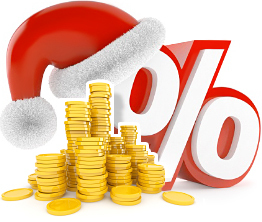 Due to coming holidays we put into the New Year sock above the fire place unprecedented discount for all gas tanks from Italian Corporate «Antonio Merloni Cylinders Ghergo Group S.p.A.»: -10%. the 25th of December 2013 till the 31st of January 2014. Let’s feed gas to the dream today. Independent gasification – end of! So, those who paid the equipment in between these dates will get holiday discount for high quality Italian equipment for independent gas supply. This discount is an exclusive offer. Made full payment for the order from the 25th of December 2013 to the 31st of January 2014 you can get the equipment within a month. If the required items are not available on the warehouse in Moscow for the moment of the order, you will get them during one month from the moment of the availability from the factory in Italy. It’s not a clearance sale of the stock! This is a step forwards our clients. 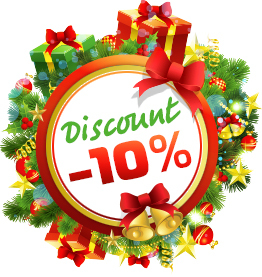 This equipment just has 10% discount for customized order. Payment for the equipment from the 25th of December 2013 to the 31st of January 2014. We understand perfectly well how «discount» word works in the modern live spoiled and deceived by the advertising. In «The book of Seven Ways» it is written that «Discounts mean when you buy a wagon of pigs and whistles never remembering about them under other circumstances». No matter how New Year jollifies you, current reality sobers. Here there is a certain truth as well as buying equipment from «Antonio Merloni» – you render a deliberate decision placing your bets on Italian quality, reliability, durability and safety. So, why don’t you do that with festive mood? Purchases of this level exclude any «pig in a poke». The only one «poke» in this bargain will be unique «Marsupio» bag which protects «Antonio Merloni» vertical gas tank. This is our care about you and about the comfort in your home. This is a chance to turn into reality your plans being in limited financial circumstances. 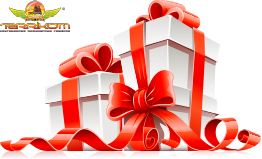 This is small gift from Group of Companies «Terrikom». Make a big gift to your countryside house, summer house or cottage – put under the New Year tree independent gasification on base of vertical gas tanks from «Antonio Merloni». Address to our managers and trade agents in the cities of Russia and in counties of Customs Union.